Marvelous Multiagers! 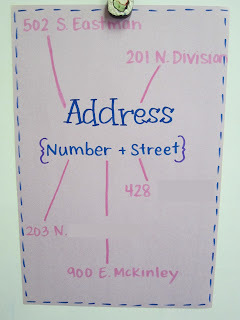 : What's Your Address? Everything I'm doing is incredibly boring right now. My reading program is scripted (maybe I've mentioned that 93847239847 times) so everything is workbooks. I'm infusing a touch of Phonics Dance-y business so it's a little less lame. Still doesn't help a lot though. Side note - I am teaching sh/ch/tch right now in first grade. Anyone else? I started a classroom blog and the parents are loving it! It's a lot easier to post there because my families are happy with a picture and two sentences, haha. Umm... that's pretty much it. Haha! 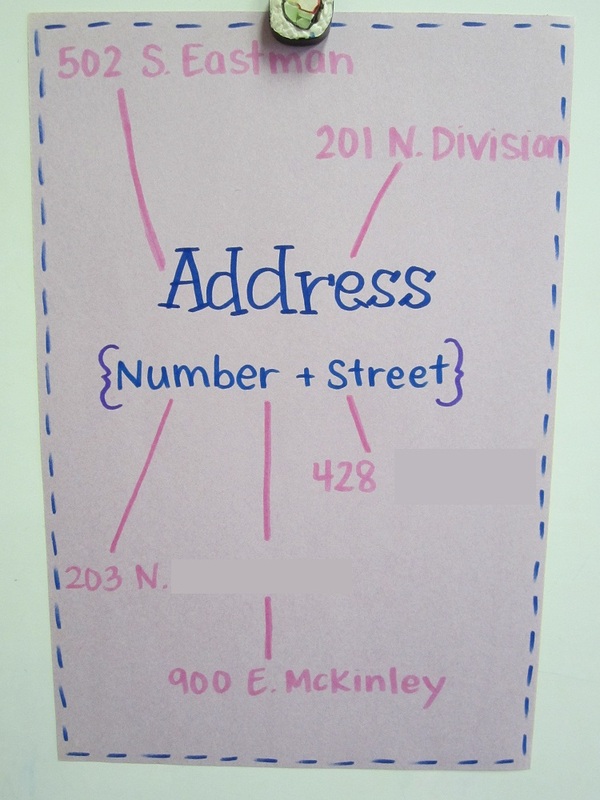 We did learn about addresses today! I like teaching things like this because my students are REALLY engaged since it is all about them, haha! First we discussed what addresses are. Then I had them turn and talk to a partner about their own address. THEN, I turned the tables on them and said they could only raise their hand to share their PARTNER'S address. What a shocker! You mean I actually have to listen when my partner turns and talks to me?! We had to redo our turn and talk, haha! Speaking of turn and talks... I have a suuuuuuuuuuuuuper chatty class this year. I did last year too, but my class size went up exponentially so the chatting did as well. I'm on the hunt for strategies that will mesh well with my first and second graders' incessant need to talk allllll day long. Turning and talking is going well. Anything else you'd care to share? I have a super chatty class too this year! Super annoying sometimes. Sometimes I start whispering so they have to be quiet to hear me. One time, I spent the whole morning whispering. The funny thing is that no one questioned me as to why I was whispering. Too funny. But even that doesn't seen to be working lately. Boo. Let me know if you come up with any good ideas! !